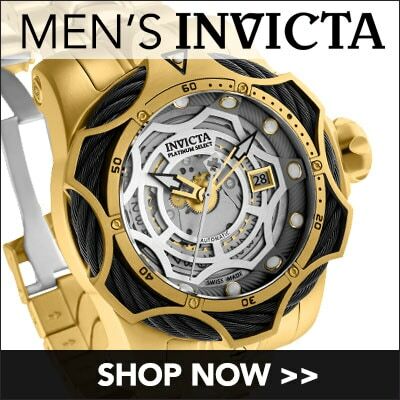 Stay on top of your day with the help of this sleek, sporty Pro Diver from Invicta. It starts with a round stainless steel case topped with a black bezel with stenciled silver-tone numerals. The black dial has it going on in the style and functionality department as it includes date and day of the week subdials.